Laurie Brown is a Professor and Research Director at NATSEM. Laurie heads NATSEM’s health, disability and ageing research team and is one of Australasia’s leading health geographers and health modellers. Laurie has over 25 years experience in public policy and practice and researching the impacts of demographic, social and economic change. She has an academic background in health geography, epidemiology, health economics, health services research and population studies. Laurie has been a consultant to the New Zealand and Australian Governments and various State and Territory Governments. 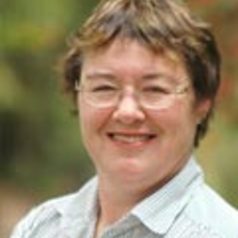 Laurie is currently playing a leading role in the development and application of microsimulation models to and use of micro-data for investigating policy issues in health, disability, ageing and caring in Australia and internationally. Laurie’s current research interests include future impacts of chronic disease, social determinants of health and health inequities, Indigenous socio-economic and health disadvantage, and disability, ageing and caring.